Gary Fisher graduated from the University of Cape Town in 1990 with a major in Economics. 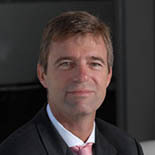 He co-founded CBS in 1993 and was appointed Managing Director in 2001. He was part of a team which led the company to a November 2005 listing on the JSE and to its eventual acquisition by the PIC in August 2007 and subsequent delisting. Gary stepped down from the CBS board to co-found Cornerstone, the asset managers for British Capital, a Guernsey based property investment company. 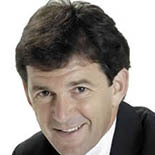 Gary also serves on the board of various non-profit trusts and organizations. Peter Golding qualified as a Chartered Accountant (SA) after completing a B Acc (Hons) degree at Stellenbosch University. During the more than 25 years with the Pam Golding Property Group, he has been involved in all aspects of the business, including accounting, finance, sales, administration, projects and developments, marketing, public relations, regional management and executive management. He was also responsible for starting the commercial property division of the company which included leasing and selling of commercial property, property management, investment and property asset management, and has actively been involved in this sector for the past 14 years. 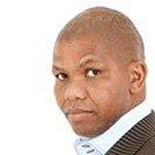 He also serves or has served on the board of a number of public benefit, educational and business development organisations; was for a number of years a member of the international Young Presidents Organisation, and played squash at provincial level. After completing his degree in Economics and Business Economics, Sanele joined the world of clothing retail where he gained valuable experience in the areas of supply chain management, logistics and managing retail operations with two of the largest department retail companies in South Africa. A transition to financial services enabled Sanele to gain experience in strategy, marketing, stakeholder management, new financial product design, administration and investments. Project Management is one of the skills he gained in the retirement fund industry. In all of his roles he had to lead and be lead by various teams of people, thus enhancing his people skills. He is a member of various financial services industry bodies and has served as a trustee on boards of pension funds. Sanele is now an entrepreneur and one of his passions is human capital development. He is passionate about giving back to the community and is involved in various community projects. Michelle has extensive experience in the corporate sector and in 2004 established a national Corporate Social Investment department that in 2007 won the prestigious Proudly South African CSI champion of the year award. 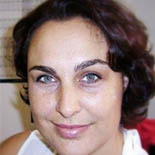 She joined The Property Foundation in 2010 and is completing her Community Development studies at Cornerstone Institute. 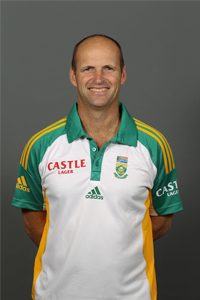 As an international cricketer Gary Kirsten was known as a man on whom the team could depend in times of crisis. Some of Gary’s finest cricketing moments would be as the coach of Team India that won the 2011 Cricket World Cup and as a coach and mentor to some of the greatest players in the history of cricket. Gary needed to understand the dynamics that would see them perform consistently and when it mattered most. The experience and insight gained throughout his tenure as Coach of India includes far more than cricket itself, as it is his skill for getting the best out of his players whilst maintaining their respect, both on and off the field, that has made him an inspirational leader. Gary Kirsten was appointed the head coach of the South African national cricket team and will be looking to unlock the incredible potential within the South African cricket system. Gary has also been asked to share some of his leadership philosophies through presentations and appearances with companies and organisations throughout the world. Gary also continues to develop the Gary Kirsten Cricket Academy and aims to fulfil his vision of developing an internationally recognised cricket academy at a state of the art facility that provides a high-performance service. Peter Davidson is a Fellow of the Royal Institution of Chartered Surveyors and a founder member of the Planning and Development Division and the British Council for Offices. A Project Assessment Form needs to be completed by any interested organisation. The Property Foundation will also act as the liaison with relevant town planning consultants and municipal / regional authorities where required. The Property Foundation requires that the organisations we assist source the majority of the funding needed for the project. We will however assist projects by connecting them with funders, sourcing in-kind donations and negotiating with professionals on fees in order to have work done pro-bono or at a substantially reduced rate where possible. The Property Foundation will monitor completed projects (and the organisations that benefit from them) to ensure that they follow through on the commitments made during the application stage. As a registered section 21 company, Registration No 2009/021965/08, The Property Foundation adheres to industry best practice and all ongoing regulatory requirements required by the Companies Act. The Property Foundation is a corporate partner of Unashamedly Ethical – a campaign promoting ethics, values and clean living and requiring all members (both individual and corporate) to commit to certain standards of personal and organisational behaviour.